When it comes to politics, semantics matter. Every word, every turn of phrase, is subject to media scrutiny. Sometimes it seems there’s practically a bad grammar beat, where reporters and bloggers eagerly await the opportunity to gleefully pounce on our less eloquent politicians. George W. Bush perhaps learned this more harshly than any other president, having entire blogs, columns and even a poem devoted to his bizarre mistakes and malapropisms (a.k.a. Bushisms). Now, as you probably suspect, I’m a stickler for good spelling and grammar. Using the most appropriate words, or a particular sentence structure, is essential to communicating ideas with precision and clarity. If you can articulate something well, it means you understand it deeply. So, when politicians butcher spelling, grammar, or simple sayings, it makes us wonder (fairly or not) if they’re totally full of BS. Dan Quayle misspells ‘potato’: Dan Quayle should count his lucky stars he wasn’t Vice President in the age of Twitter (Joe Biden, of course, hasn’t been so fortunate). Twenty years later, he’s perhaps best remembered for a fateful day in 1992 when he visited a classroom in New Jersey. A boy steps up to the chalkboard, Quayle asks him to spell ‘potato,’ and he writes it out (correctly, mind you) in neat cursive. Dan Quayle “corrects” the boy’s spelling and has him add an ‘e’ on the end. Dumbfounded, the boy complies and writes ‘potatoe’ on the board – at which point Quayle starts clapping and congratulating the boy for getting it “right” the second time around. Talk show hilarity ensues, and Dan Quayle takes his place in the pantheon of frequently mocked politicians. Sarah Palin misspells ‘repudiate’… or maybe it was ‘refute’: Palin is perhaps the only other politician to be lambasted as much as Bush for, well, making no sense whatsoever. Tina Fey had a field day using Palin’s own mystifying sequences of words, which I won’t even dare call sentences, to parody her on SNL. To be fair, it’s possible to be a brilliant writer yet freeze up when it comes to speaking in front of an audience. And Palin, in fact, compared herself to a certain brilliant writer named William Shakespeare when she made up the word ‘refudiate’ on Twitter (she meant ‘refute’, FYI). It even went on to become word of the year in 2010. Brava, Ms. Palin — or should I say, ShakesPalin. Mitt Romney’s campaign misspells America: It started as an attempt to reach tech-savvy voters with a logo calling for “A Better America” that Romney supporters could superimpose over images they posted across social media. It ended as a nightmarish example of the importance of spell-check, when the campaign released their “I’m With Mitt” app calling for “A Better Amercia” … oops. It went on to become a positively hilarious Internet meme with more parodies than serious posters – and it spread faster than, well, the Romney campaign furiously trying to fix their spate of spelling errors. 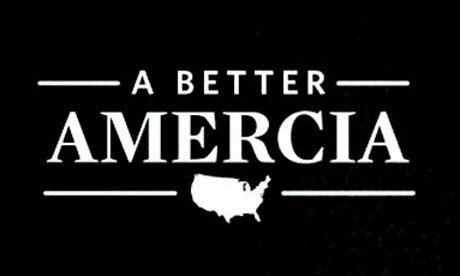 We know Romney likes to fire people, but I’m not sure what happened to the poor staffer who let the famous ‘Amercia’ typo slip. Last I read, Romney’s looking for a copy editor. As ridiculous as these errors might seem, no election should be determined on the basis of egregious typos (*gasp! *) – or even what might appear to be a total disregard for the English language. But with the current campaign-season circus, it can sometimes be hard to cut through the semantic crap to get to a kernel of truth. Sure, everybody makes mistakes sometimes, and not every typo means you can’t trust a candidate. But it does seem like sloppy communication is on the rise among public figures you’d expect to be most cautious (ahem, Anthony Weiner). Maybe they’re just behind the times. Or maybe these kinds of careless errors are a reminder that social media and a 24-hour-news cycle are contributing to a culture in which candidates often worry more about media attention and less about delivering a meaningful message. This entry was posted in Print Media, Spelling by Shiwani. Bookmark the permalink.